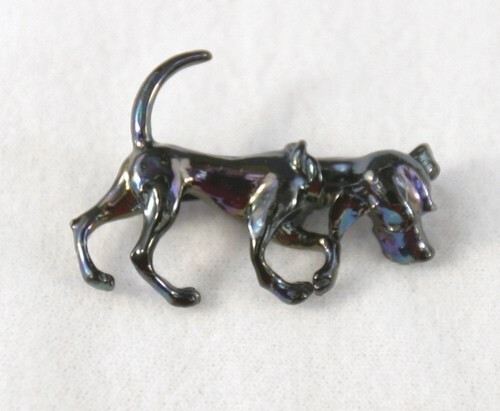 Black dog pin with movable head. Safety clasp. Blueish-black high gloss paint. It measures about 2 3/4 inches by 1 1/4 inches.